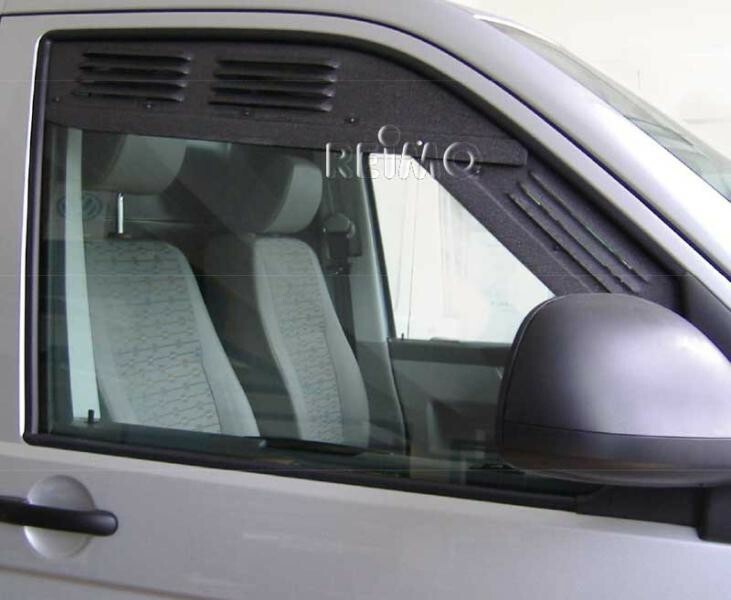 AIR VENTS: This is a real easy way to secure the vehicle, while still getting more air flow inside. The vents are designed in a louvre style- so even when its slightly raining- no water can come inside. On the inside of the vents is a fly & bug screen to keep the insects out. 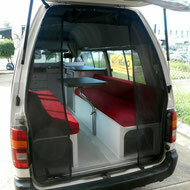 Ideal for night time, when van is parked unattentend and certainly for people who travel with their 4 legged friends. The doggy can wait safe inside when you are away! 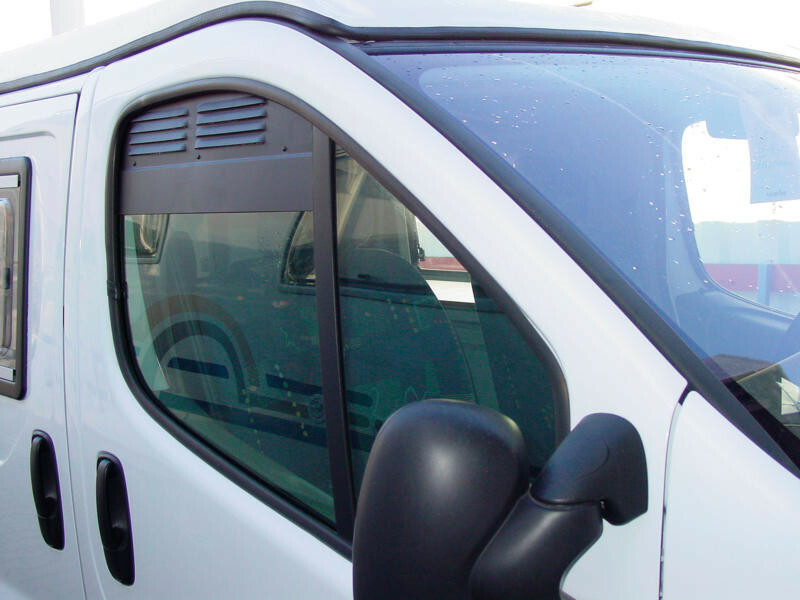 To fit the "Air louvers": wind (manual or electric) you window down and hold them diagonal before moving them up. 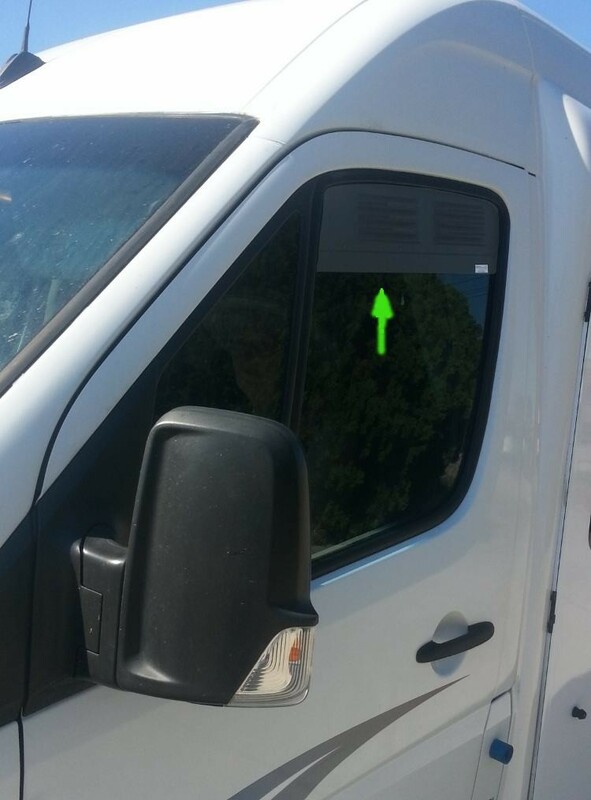 They will "slot' into the top (as the windows would). Then get the window slowly up, make sure the window glass slots into then lower C channel of the louvres and all done! Keeps insect out and delivers permanent air flow - very safe - quick set up! 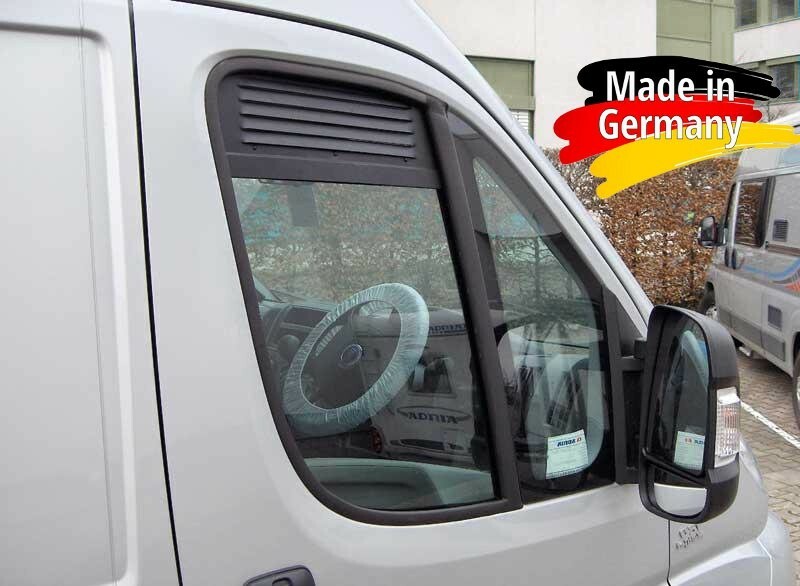 Available for various models, such as Mercedes Sprinter, Fiat Ducato, VW Crafter, VW T4 and T5 Transporter / Multvan, Iveco Daily, Renault Trafic, Renault Master and VW Amarok. 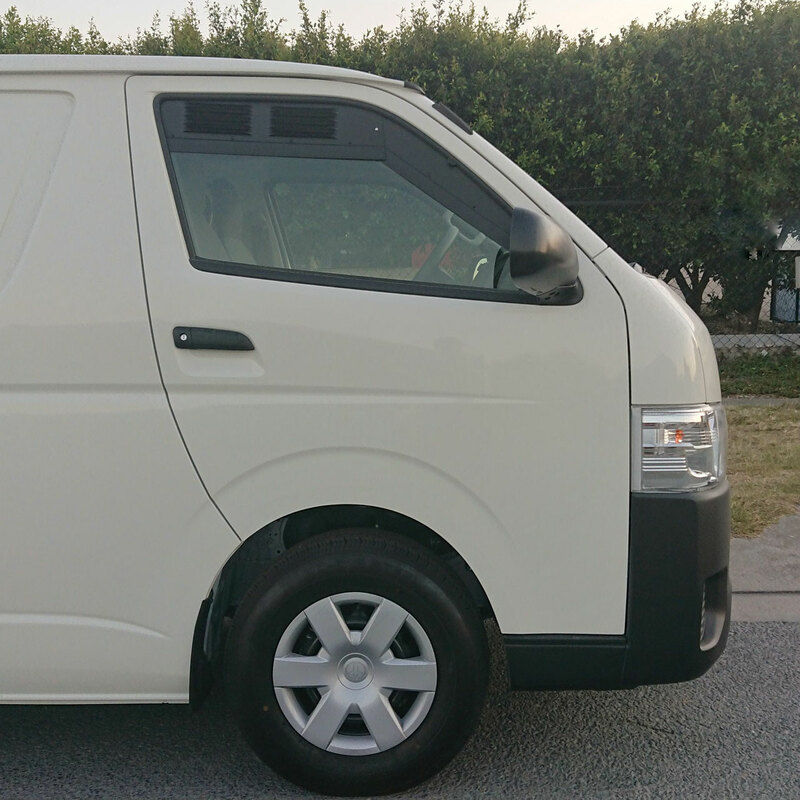 Other vehicle brands & models on request.